This award-winning telescope is ideal for serious newcomers to astronomy, as it combines both high quality optics with an affordable price. This telescope was Group Test Winner (BBC Sky at Night) and offers one of the largest mirrors in its price range, which is a great asset because it means it can gather more light. Magnifications (with optics supplied): x36, x72, x90, x180. Highest Practical Power (Potential): x260. 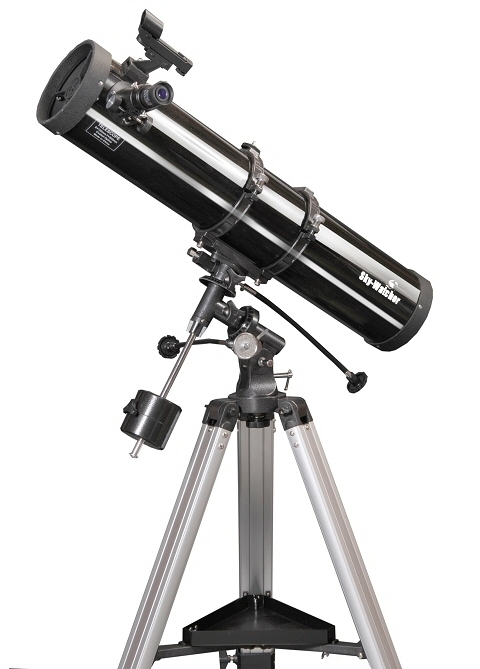 Supplied with a high-quality equatorial mount, enabling you to follow easily objects in the night sky. What we particularly like about the Explorer 130 telescope is that it achieves a very good trade-off between quality and price - the mirror is very large for a telescope in this price range, which results in highly-detailed images and wide ranges of view. The Explorer 130 enables amateur astronomists to discover a wealth of hidden secrets in the night sky, without costing the earth! And, we have to admit, the remarkable quality of the images makes this telescope stand out from other telescopes in this price range.